SaaS : self-service computing products ready to use “out of the box”, i.e. ready immediately after being installed. 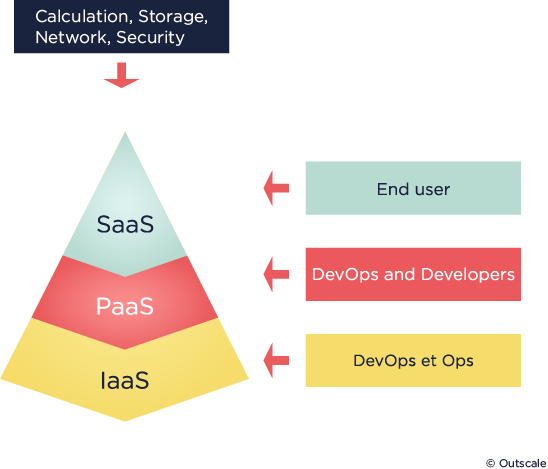 The IaaS element is the base that is vital to building PaaS and SaaS, since it offers calculating, storage, network and security resources. Without IaaS, there would be no PaaS or SaaS! A quality PaaS or SaaS offer needs an excellent IaaS infrastructure as its base.